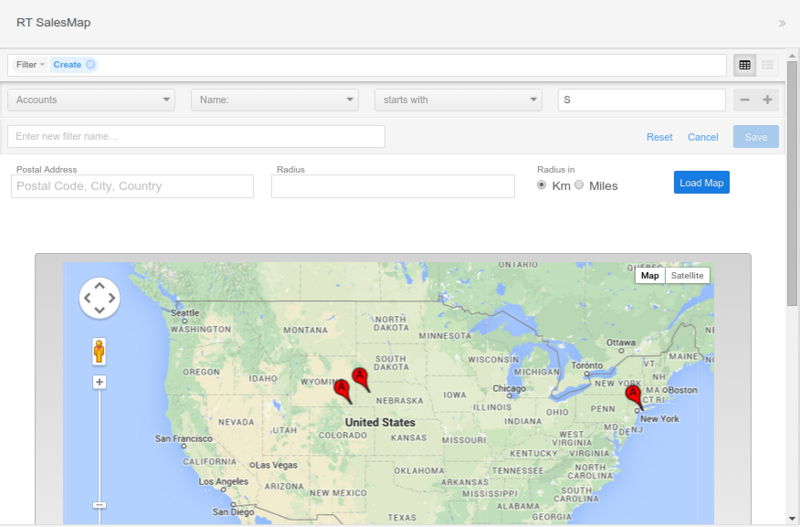 Track and locate your SuiteCRM Leads, Accounts and Contacts on the go! Instead of searching through your database, look at your customers and prospects visually. SalesMap empowers to make decisions on who to visit out in the field, and manages the ability to see their customer base visually. RT SalesMap picks records from the three modules i.e. Accounts, Contacts and Leads and displays them on Google map. The positioning of the results is determined by the addresses associated with the SuiteCRM records. SuiteCRM is the free, supercharged and open source alternative to SugarCRM. To keep up with the in-demand SuiteCRM market, we have worked on making our plugins compatible with the this CRM. RT SalesMap is compatible with all versions of SuiteCRM. Click here for Installation Guide and User Guide.